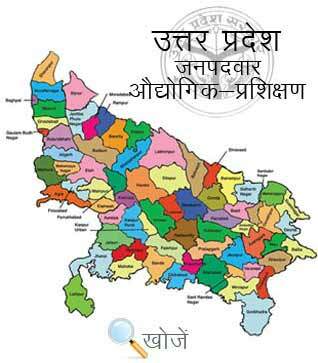 Bareilly is a city in Bareilly district in northern Indian state of Uttar Pradesh. It is located on the banks of Ramganga and is the capital of the Bareilly division and the geographical region of Rohilkhand. It is also known by the name of Nath Nagri known for the four Shiva temples located in the four corners of the region. The city also boasts art and cultural organizations, art galleries and theatres. With large number of professional institutes the city is an educational hub and has various famous universities, and research institutes like M.J.P Rohilkhand University, the Indian Veterinary Research Institutes (IVRI) and the Central Avian Research Institutes (CARI) etc are few among many. The people of the region are well aware of the value of technical education and thus it has one Government Industrial Training Institute at Civil Lines and Narayan Industrial Training Center at Nawabganj that offers various job oriented technical and non technical diploma courses to the students. The basic qualification to enrol in these courses is matriculation and the minimum age is 14 years. To get admission students need to clear the entrance examination conducted by Vyavasayik Pareeksha Parishad, Uttar Pradesh (VPPUP). The official website is www.vppup.in. Apart from this students can also visit www.upiti.in which offers complete information such as downloading of application form, counselling dates, admit card, result and other important notification dates etc.